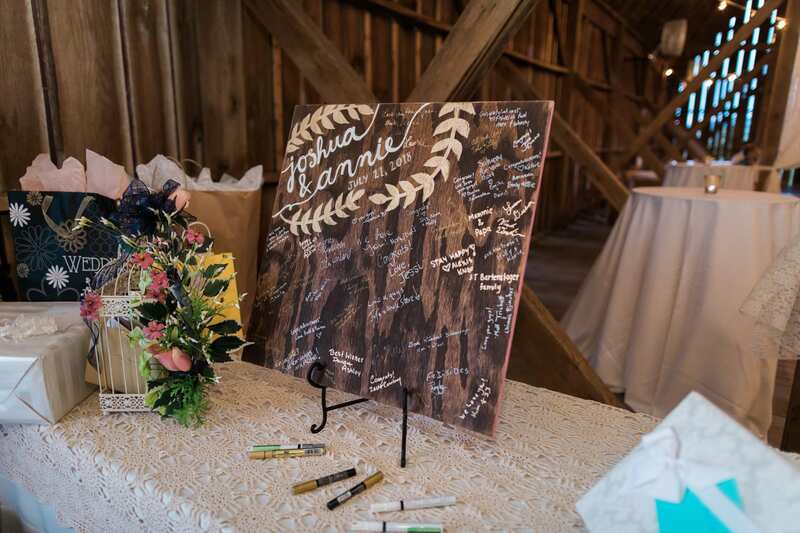 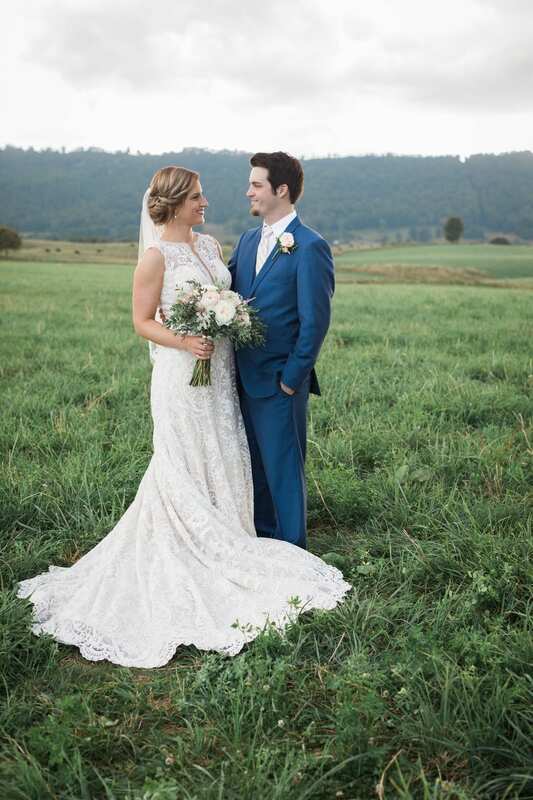 There was a sense of calm and ease as Jasmine White Photography began to capture the beginning of Annie and Josh’s rustic wedding. 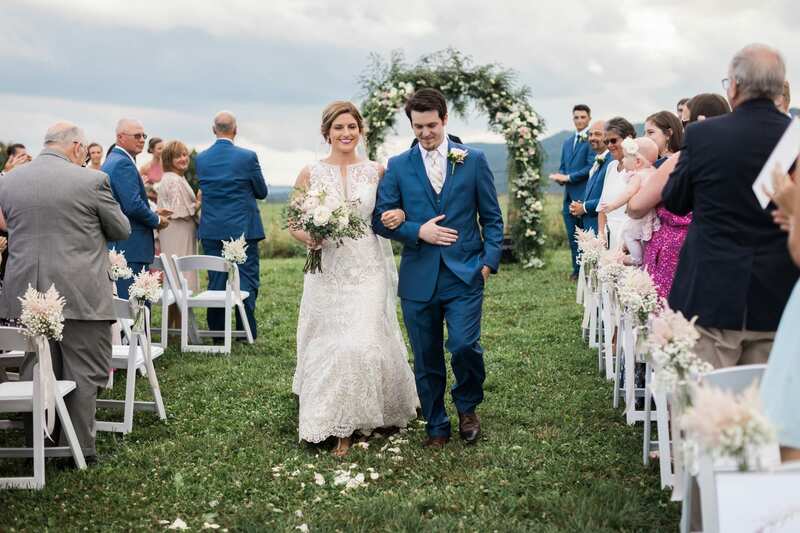 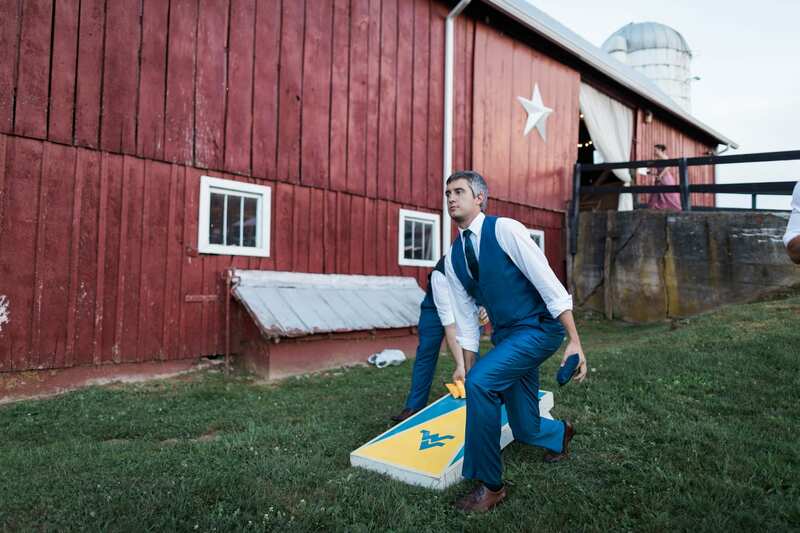 Set on the beautiful Valley View Farm in West Virginia, the relaxed mood seemed the echo the natural, effortless beauty of the setting and the simple decor. 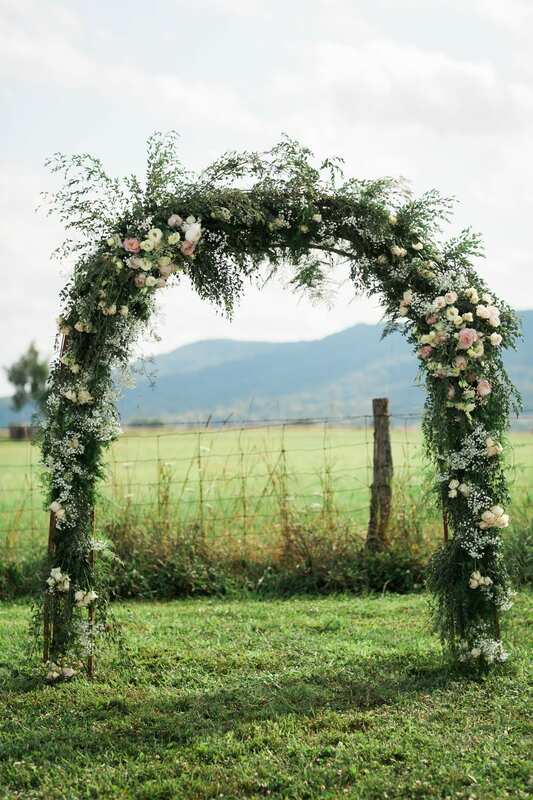 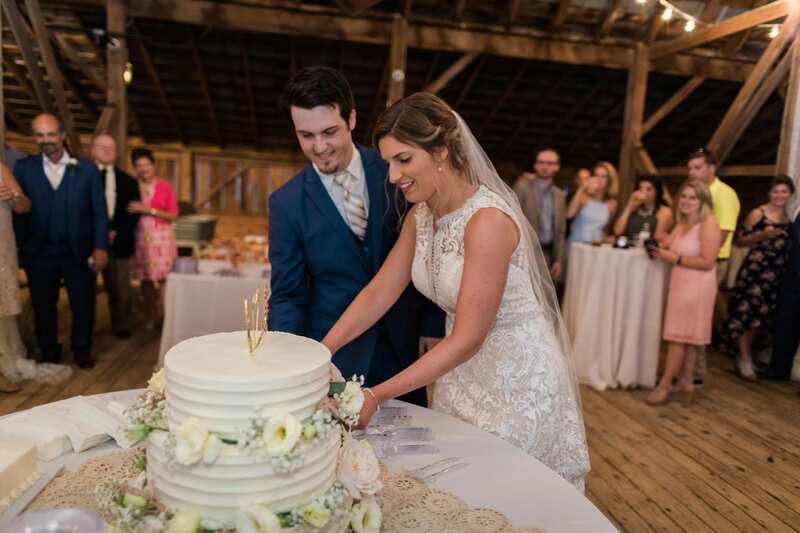 Guests were greeted with a quaint, old fashioned red barn house, seemingly endless land, and an outdoor ceremony lined with white fold up chairs and a simple floral arch. 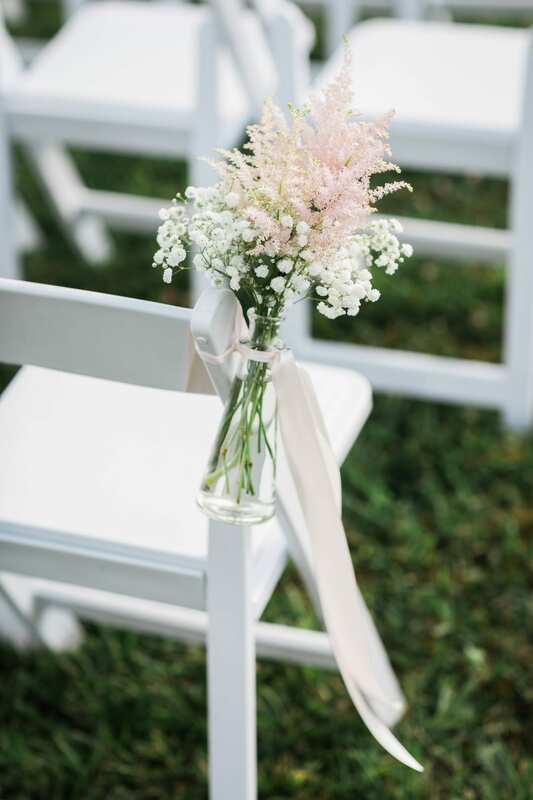 Baby’s breath hung on the aisle chairs for a simple but lovely touch. 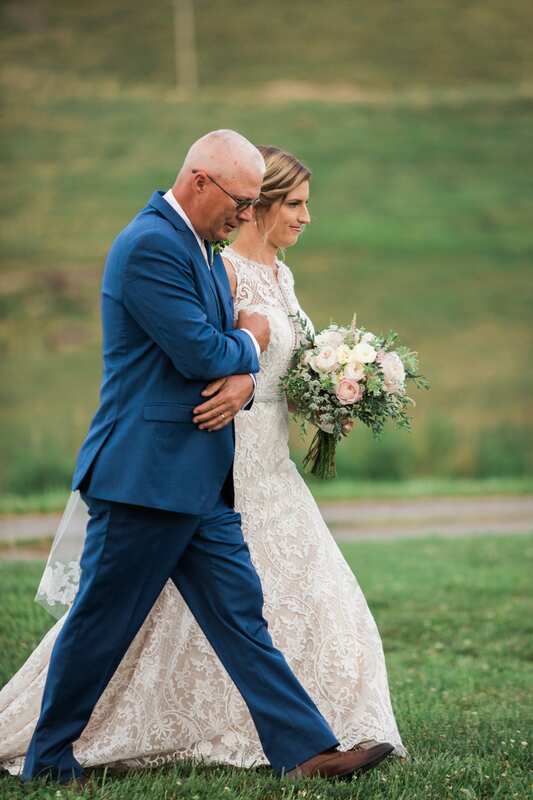 Annie walked down the grass aisle in a classic A-line wedding dress with all over floral embroidery and a darker ivory underskirt, with a scalloped illusion back and an elegant fingertip veil. 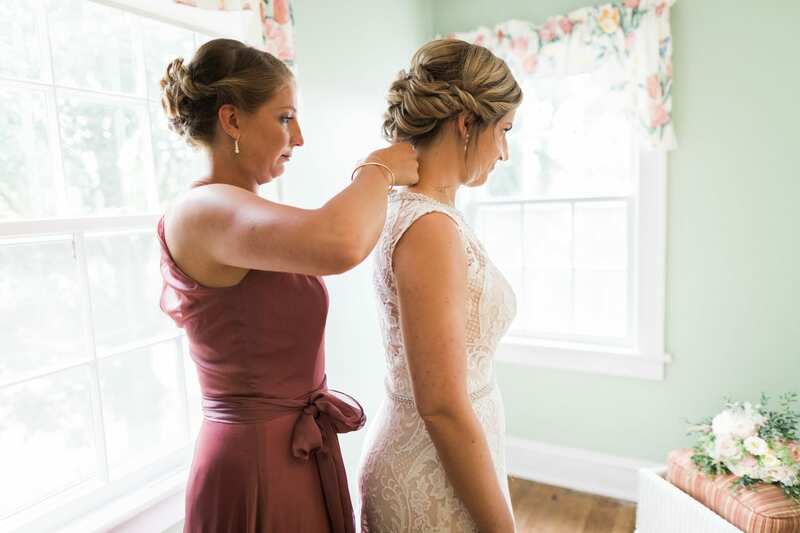 A strand of pearls completed her look. 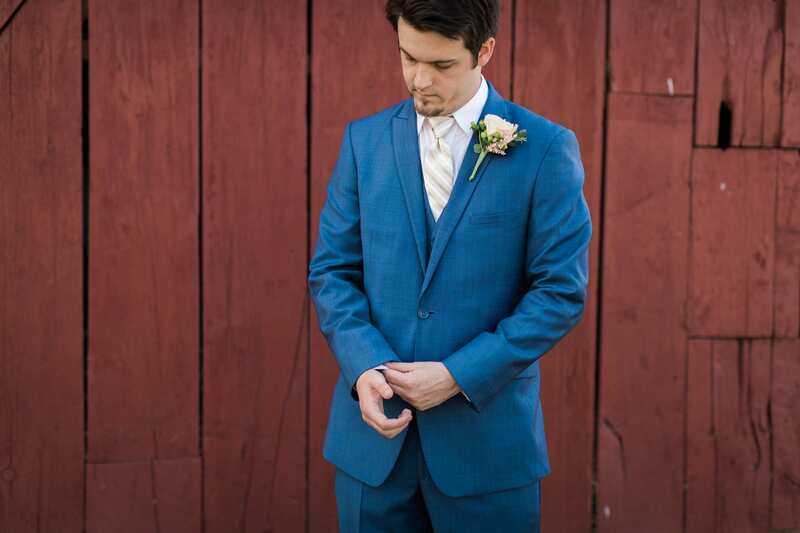 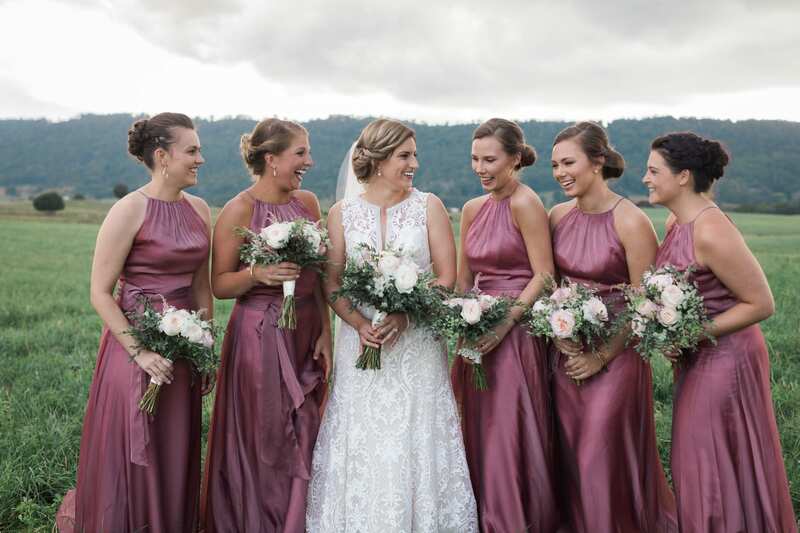 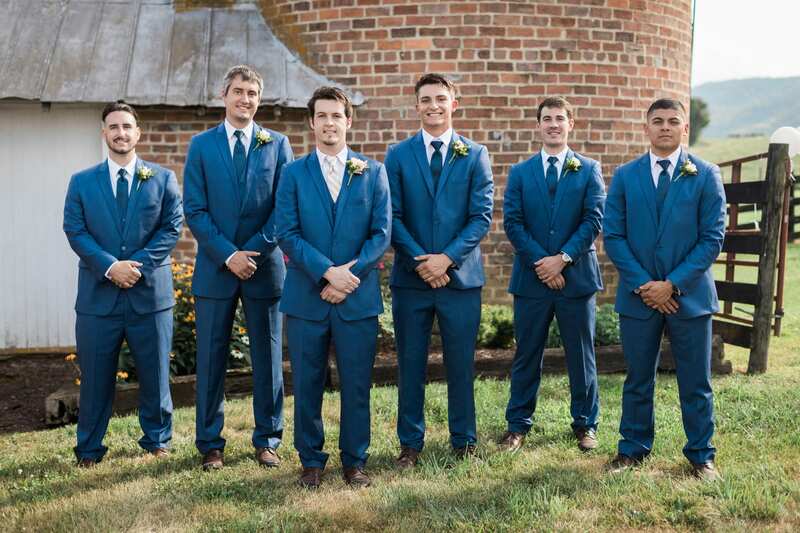 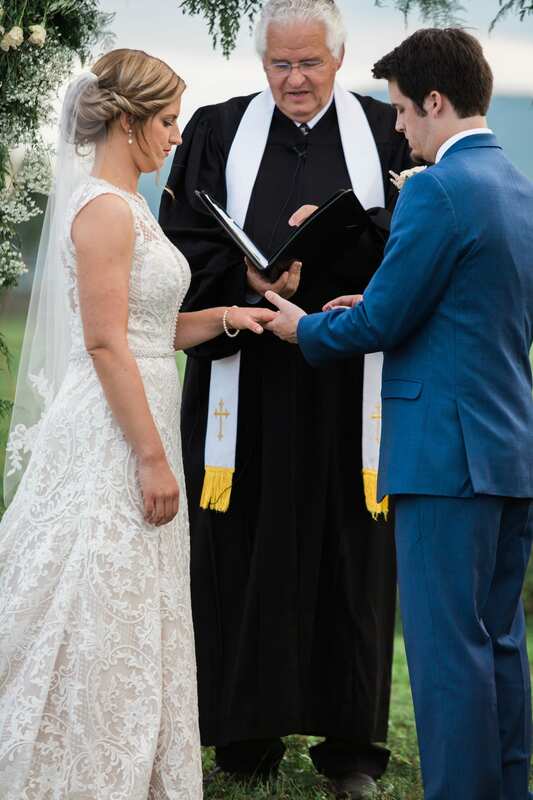 The men wore slate blue suits and the bridesmaids wore deep rose halter neckline dresses, both of which perfectly complemented the soft pink and white color palette throughout the ceremony and reception. 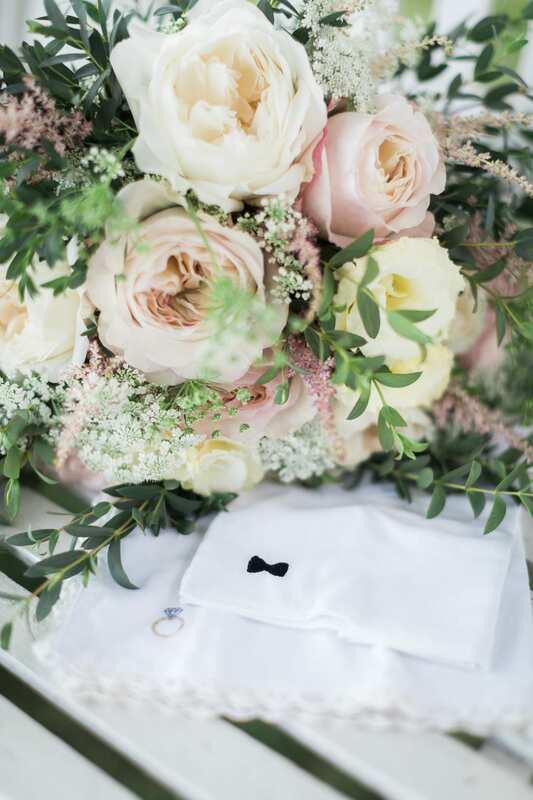 At the reception, rustic and elegant elements were found in the table decor, with tea light, gorgeous and classic pink and white floral arrangements, and simple white tablecloths. 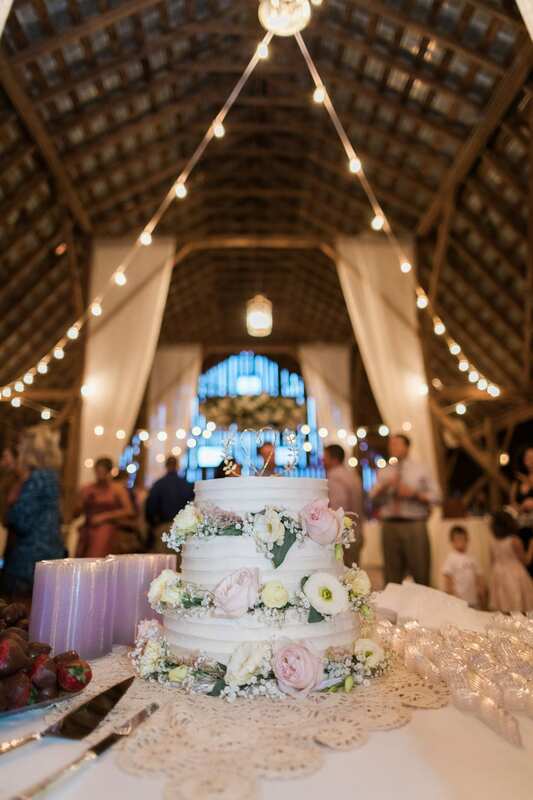 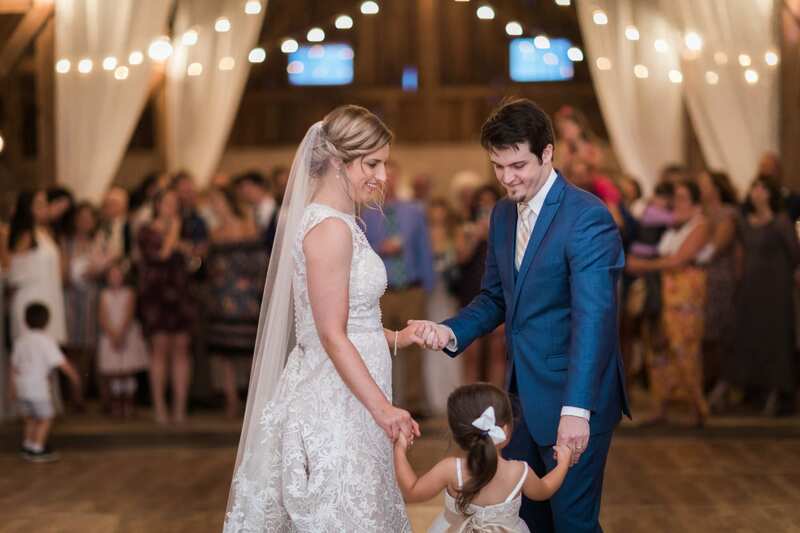 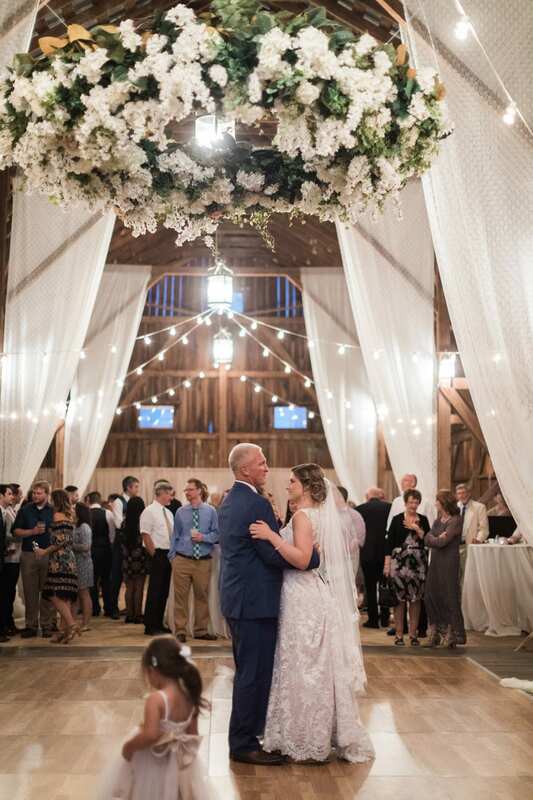 The barn reception also featured a three tiered rippled buttercream cake with white and pink florals, a lively wooden dance floor, and even games of corn hole. 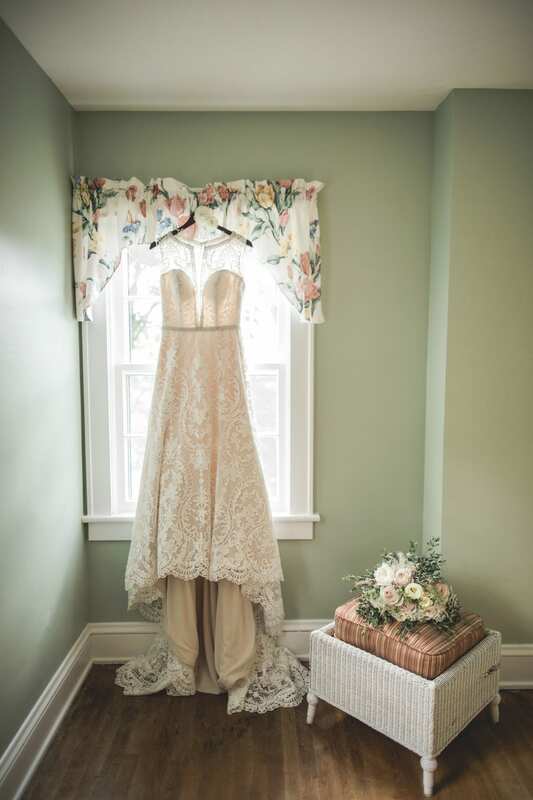 It was a day to remember, filled with gorgeous but also charming details, for a classic but personal wedding.